You all saw it on Tuesday. Then you saw it again early on Wednesday morning in your nightmares. Then in your daymares. And now you’re just living every hour in terror as the 2020 Chevy Silverado HD’s grille taunts you. But there’s good news, because Chevy unveiled a range-topping High Country version of the truck with a grille that appears less determined to eat you. 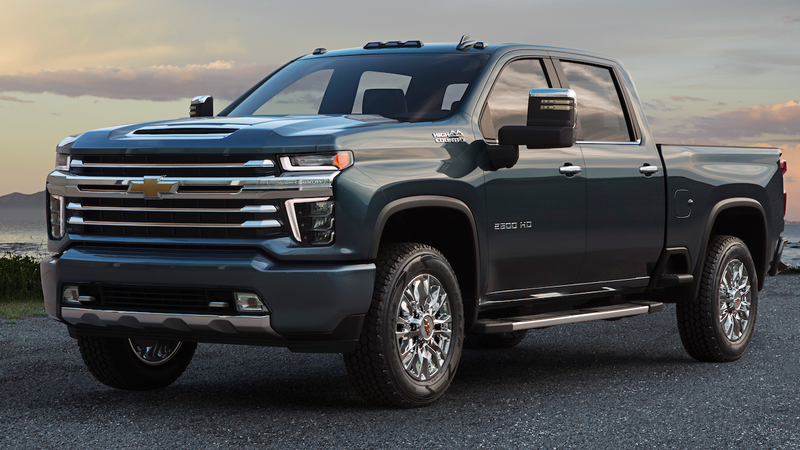 Before you get mad at me for bringing you back into a world where the Chevy Silverado HD’s face looks like, well, that, I have good news: Not all Silverado HDs will come with the huge grille of death. Is it possible Chevy put out the High Country pics yesterday to mitigate this controversy? I can’t say for sure, but I also wouldn’t be surprised. But now we’ve had a look at what the Silverado HD LT and High Country models will look like. GM says Work Truck, Custom, and LTZ will show their faces closer to launch, which will be sometime mid-2019. Between the LT’s demon grille and the High Country’s horizontal bar-with-bowtie grille, I’m hoping the other trims lean more towards the latter.